Sparkle and shine when wearing this Kitty Katrina Gold and Silver Mouse Ears! This beautiful headband features sparkling black mouse ears with gold beads on the edges; a handmade sparkling silver bow; silver and gold metallic roses, and a black satin covered headband (see image). 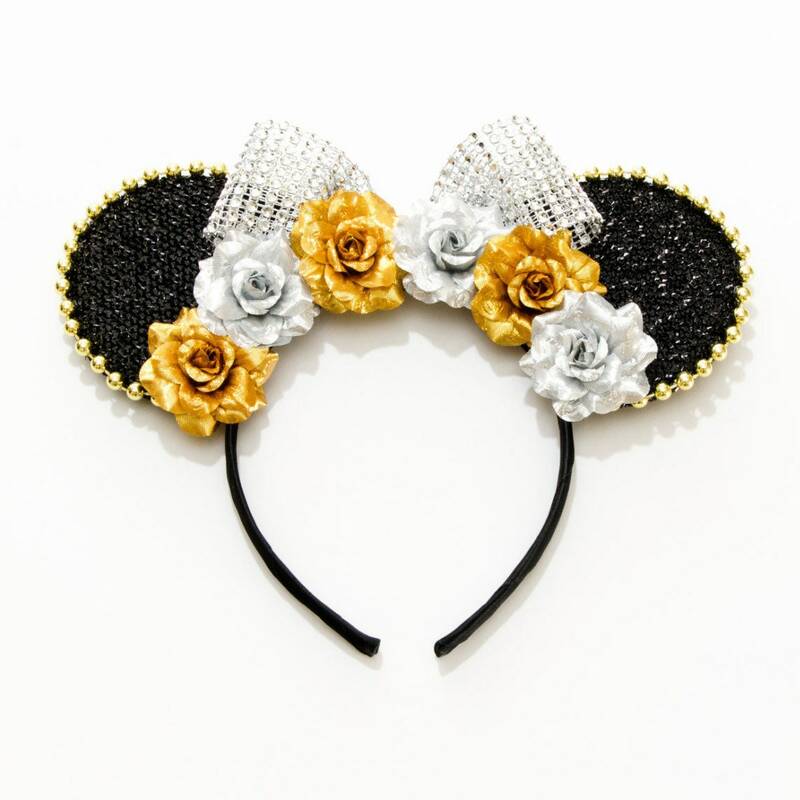 The prettiest Mickey Mouse ears ever! Thank you so much for rushing my order so I could give it to my friend for her graduation! She had a great time at Disneyland and said she got so many compliments on her ears!! Will definitely need more in the future! !